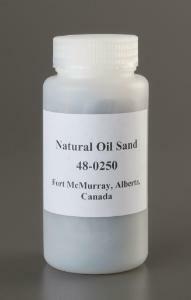 Using actual oil sands from the Athabasca oil sand deposits in Alberta, students will examine the nature and characteristics of oil sand and then formulate and test methods of bitumen extraction. 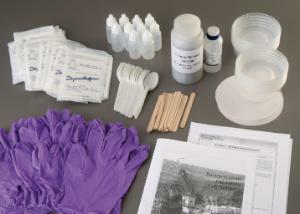 Accessories information: A refill kit is available and contains only consumable component items. It does not contain additional student or teacher guides. Ordering information: Lab includes 500g of oil sand, Filter paper, NaOH prep solution, Disposable aprons and gloves, pH test strips, Mixing containers and materials, and Comprehensive teacher's guide with student copymasters.